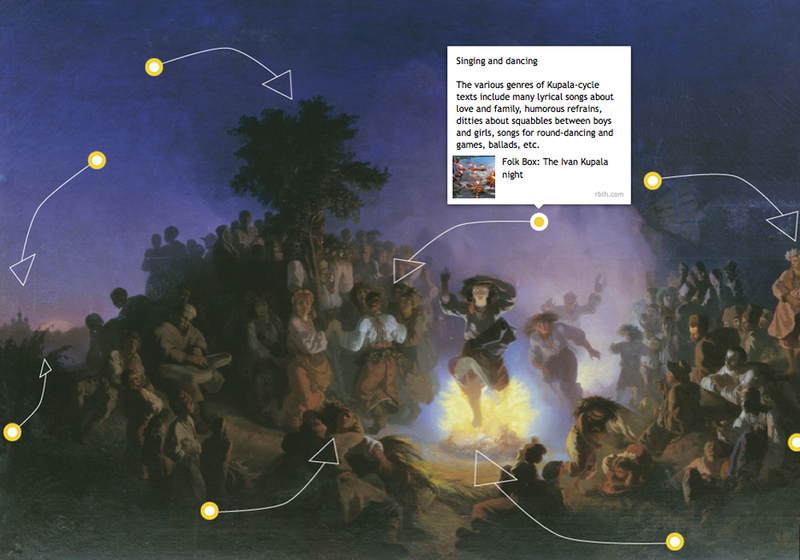 RBTH explains the main elements of this holiday with reference to the painting by Ivan Sokolov "The Night of Ivan Kupala" (1856). Many cultures around the world celebrate the summer solstice. The Russian version of this folk festival (out by a couple of days) is known as Ivan Kupala. Like many other festivals (Christmas, for example), Ivan Kupala combines elements of Christian and pre-Christian, pagan rituals.